The 51st annual Golden Horse Awards is over but the drama continues. 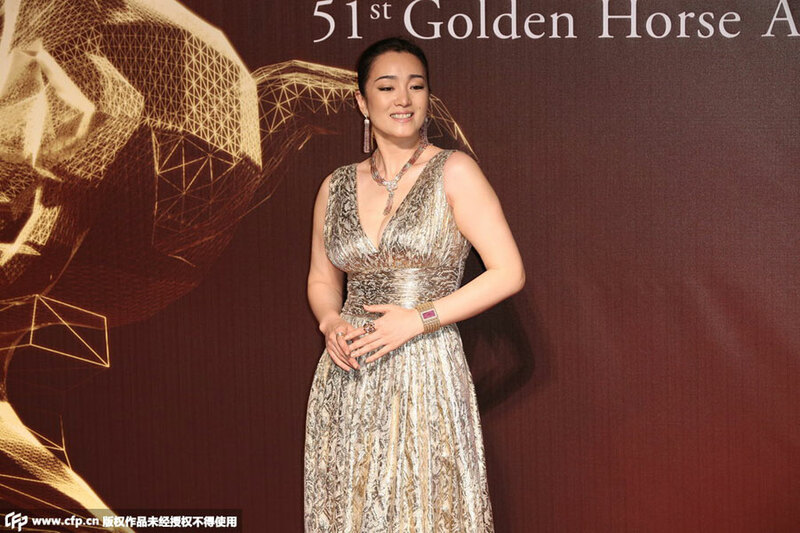 Mainland actress Gong Li, who lost in the "Best Actress" category to Taiwan-born actress Chen Shiang Chyi, questioned the impartiality and professionalism of the event after the awards were handed out in Taipei last Sunday. In a statement via her manager earlier this week, the 48-year-old actress says that the Awards were "unfair," and the voting process used to determine the event's winners is flawed. Gong's manager Christopher Tseng said that, unlike other award jury panels, the Golden Horse Awards used two panels to pick awardees. Tseng said that his client doesn't understand why the second panel was invited to vote for the winners. This year, heading the jury panel was American-Chinese actress Joan Chen. Rumors had circulated about friction between Gong and Chen, but Gong told reporters during the Awards red carpet ceremony that this was not true. Chen and The Golden Horse Awards Executive Committee defended the judging process, saying that outside factors did not influence the decisions of the jurors. As for Gong, her manager said that she enjoyed her trip to Taiwan, but the actress will not attend the Golden Horse Awards again.